Kim Kardashian Channels One of Hollywood’s Greatest Icons, but Does She Fall Short? Kim Kardashian is a bit of a diva at heart. Shocking? No, it’s not. But she took her “divaness” to a whole new level recently, posting a series of photos and comparing herself to none other than iconic Italian actress Sophia Loren. No really, she did. Kim K. was apparently in the middle of yet another photo shoot, and she decided she’d go old school glam. 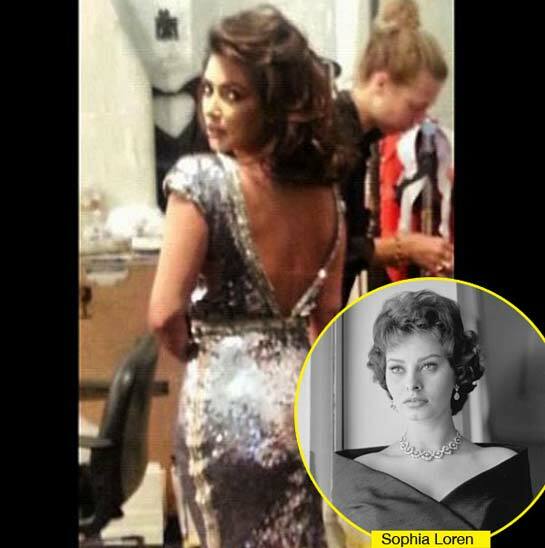 In a few of the photos she tweeted, she explained that she was “finding” her inner Sophia Loren. Sophia was the epitome of beauty, grace and talent. Kim has the beauty, but the jury’s still out on the grace/glamor bit. Kim Kardashian, one of reality TV’s greatest treasures? Somehow, that doesn’t have the same ring to it. Kim is correct to idolize Loren as a role model, but she’s going to have to work just a bit harder to earn that kind of comparison.